subject to terms and conditions. Rate of Interest (fixed): 19.50%	Available to UK residents aged 18 or over only. 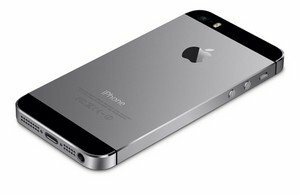 The Apple iPhone is equipped with a powerful A7 processor that is based on the 64-bit architecture. The A7 chip has double the capacity of the A6 chip, which means you will be able to enjoy multimedia games with complete 3D effects. This device also delivers a faster CPU performance and enables you to multitask by launching more than a couple of applications at the same time. The iPhone 5S has a motion detecting coprocessor, the M7 coprocessor, that senses motion-oriented data. So when you’re consulting Maps while travelling or evaluating your performance on the treadmill with the aid of workout applications, the co-processor automatically starts functioning and takes the load off the main processor. It detects when you park the car and start walking towards your destination and automatically switches from driving to walking while you are navigating. What’s more, the coprocessor recognises if the device has not been picked up for a while and reduces network usage to save on battery.